Sleek, Euro-style tubes give them a stylish edge over other RIB's. A deep “V" fiberglass hull delivers superior performance while a built-in bow locker provides both a seat and a place for gear. 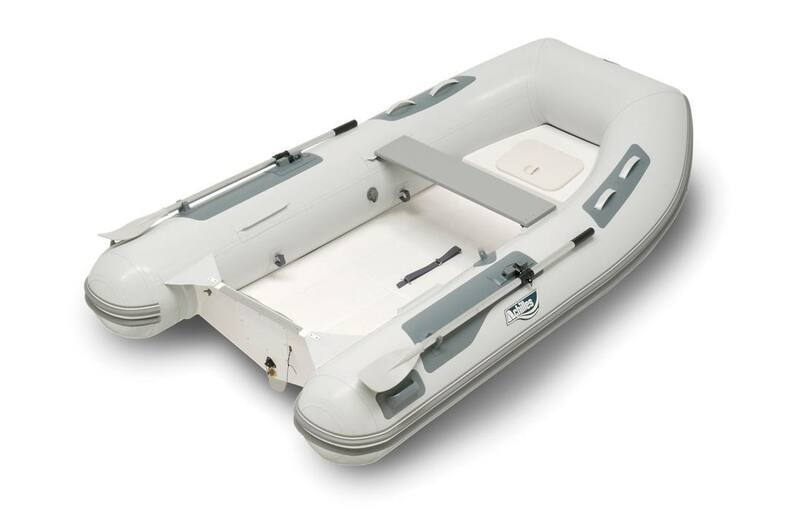 If you want to take a step above the norm in a hard-bottomed tender, step up to an Achilles HB-DX RIB. Like every Achilles boat they are made with our own Achilles CSM fabric so they can handle the burning sun of the tropics or cold northern waters without fading or deteriorating. 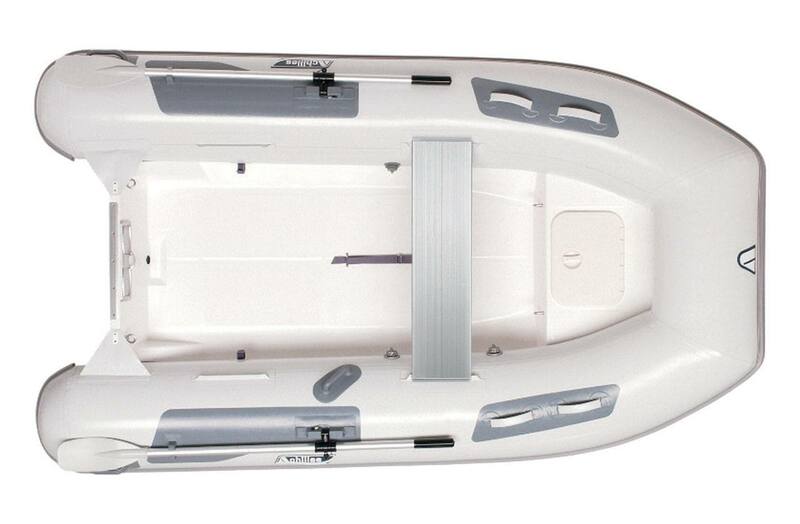 Choose a rigid-hulled inflatable that gives you a little extra. Choose an Achilles HB-DX. New Seat and Console Kits Now Available! We are now offering the perfect solutions for you to turn the best "open" RIB's on the market into the best "Deluxe" RIB's. We are now offering three different seat and console options. The Deluxe seat and console kit (part #HB4SCKIT) package includes a bench seat with folding backrest, a console with base and steering helm, and a cushion for the forward bow locker and is very attractively priced. The unique design of the console allows the base to be mounted as shown with a side seat (in the HB315DX) or it can also be mounted fore to aft in the HB350DX and HB385DX if a console with a forward-facing seat if desired. The basic seat and console kit (part #HBSCBASIC) is a 2-piece kit that has a one-piece console with steering helm and a fold down seat base. This option offers you the least expensive way to turn your open Achilles into a console boat. Although it doesn't come with a bow cushion - one can be ordered as an option for this kit or for any open DX RIB (part #HBBOWCUSHION). The Hula-Helm (part #HBHULAHELM) is a unique one-piece tubular stainless-steel seat and console combination unit that has a folding steering arm and seatback which allows the unit to become very low profile. This is convenient when trailering the boat, covering the boat, and may also be beneficial when mounting the boat on davit systems. It may also enable the boat to be stored in a "garage" on a larger yacht. It has a large fiberglass storage box under the seat cushion, and a fiberglass piece on which the steering helm is mounted. This area can also be used to install gauges, switches, and your engine controls.